Let me know what all needs to be checked to set the language on a keyboard as per culture info. Are you using WPF version of the control? With this code I can see AZERTY layout loaded in WinForms control and default QUERTY one remaining in WPF, so I guess WPF version does not contain the built-in layout resource for nl-BE. 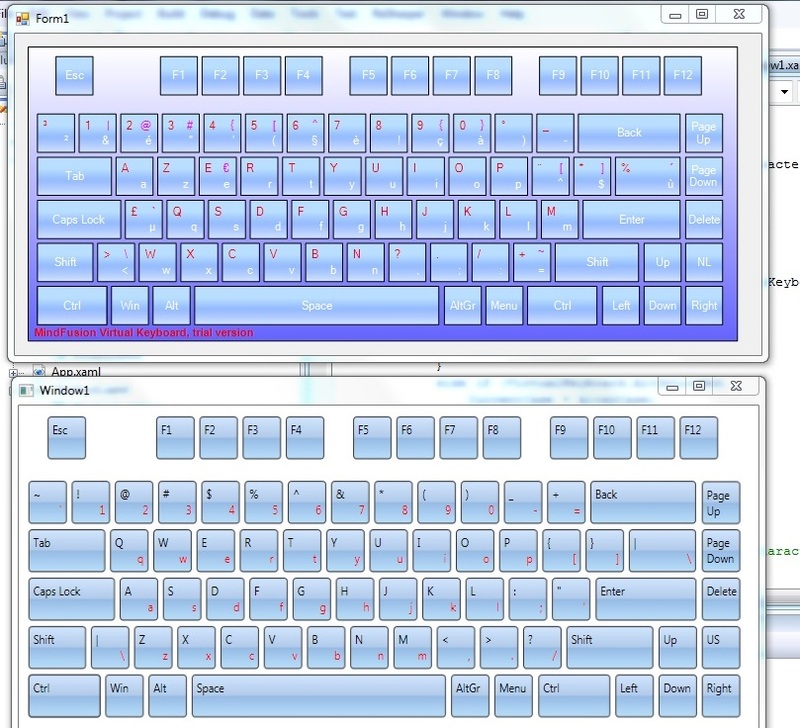 We are using Virtual Keyboard for WinForms version. Okay, are you getting same layout as above but expect another one, or are you seeing altogether different layout? Also are you using latest version of the keyboard released by Mindfusion or an older FPS one? We are using the same layout as can be seen in your screenshot, and its the latest one downloaded. Its just that the keys of the keyboard do not change as per the culture applied. The keyboard maps virtual key codes to character labels by querying the installed languages. Do you have "Dutch (Belgium)" installed as Windows Input Language? 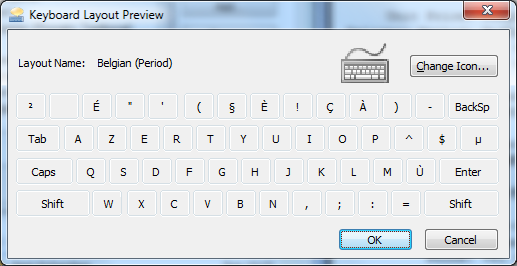 The labels on the WinForms keyboard screenshot looks pretty close to what Windows shows as language layout preview in attached screenshot. If some labels should be different, please let me know which ones and our developer will investigate.